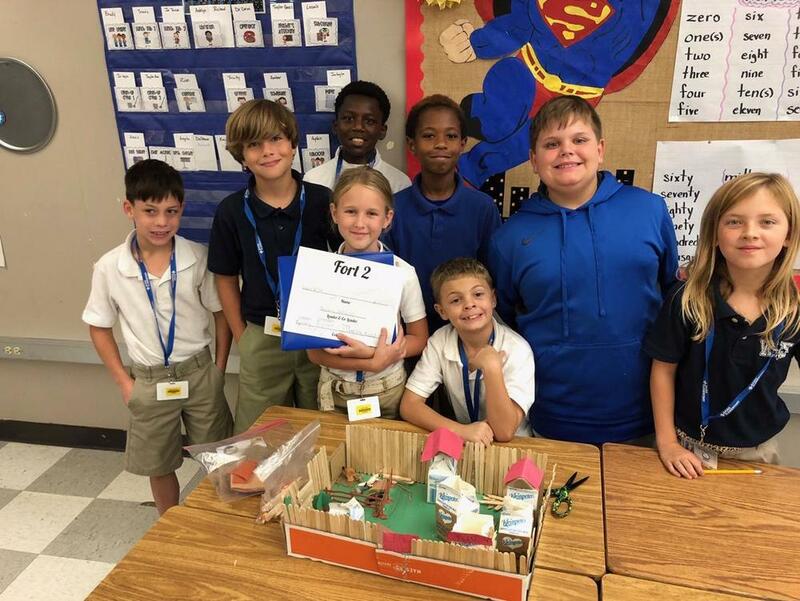 Bains Elementary fourth-graders took a hands-on approach to learn about the early American colonists by building villages and forts during a recent assignment in Kimberly Matthews' class. Keondre Bibbins, Cole Bohannon, Buddy Floyd, Maxx Garrett, Jayden Johnson, Jason Landry, Taylor Triche and Kaylyn Whetstone show off Fort No. 2.